Why Are Women So Emotional? Whether you are a guy or gal, you have probably asked yourself at some point why women are so emotional. This question has baffled many a person. Women tend to be more in tune with other's emotions, but they also tend to think and react very differently than men. This does not mean women are irrational, but quite the contrary. Many researchers have found women are very logical thinkers that can relate better with others, thus making women some of the greatest leaders in history and today. Research has found evidence that women's brains process emotion differently than men's think tanks. Studies have shown the difference not only affects emotions but also brain activity and memory. It has also been found that women have a greater amount of emotional stimuli. A study exposed men and women to emotion-producing images. Researchers found that women reacted more openly and had greater motor and facial reactions to stimuli, especially negative ones. After viewing the images, participants were then asked to recall by memory the pictures. Women did much better than men, especially in the cases of positive stimuli. The evidence suggests women process emotions and memory differently than men. Why are women so emotional? Some say because women have a better limbic system, so they can express their emotions and feelings more openly. The limbic system is the part of the brain that controls our emotions, as well as our reactions to these emotions. Since women are "wired" to handle sentiments in a better manner, they do not feel the same inhibitions as men about their feelings and can deal with them in an uninhibited way. In the same sense, since women are so in sync with their emotions, they are more susceptible to negative reactions and feelings. Many people think a big reason why women are so emotional is because of their hormones. 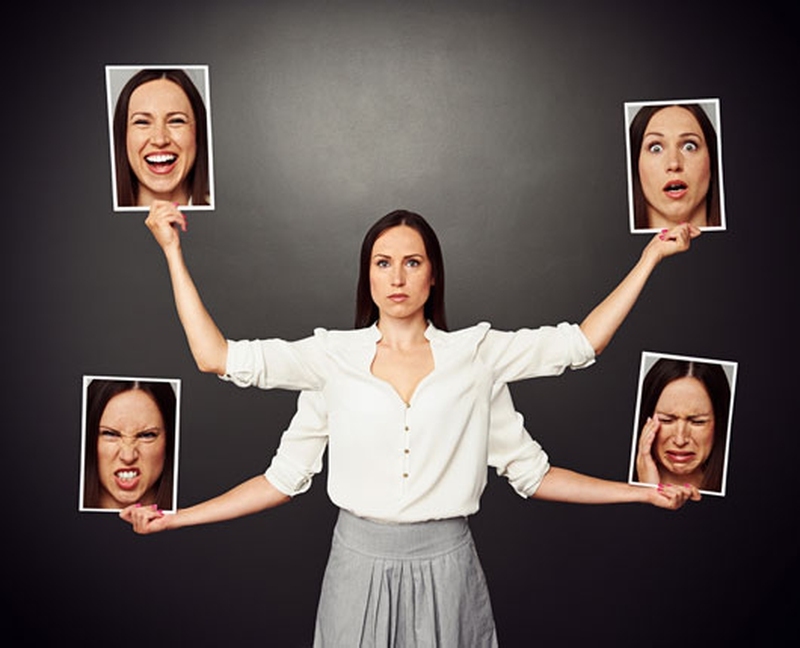 While the actual level of a woman's hormones does not directly affect her mood, an increased presence of estrogen can alter a woman's emotions and reactions. Estrogen affects the brain by increasing serotonin receptors, stimulating nerve development and changing the effects of endorphin. How these changes in the brain affect a woman differs from one to the other. Because the presence of these hormones greatly changes over the course of a female cycle, a woman's emotions, sensitivity and reactions can change from one moment to another. Society allows women to be more emotional, while it often tells men it is weak for them to express their feelings. Because of this, men tend to hold in their feelings, keeping everything bottled up inside. It is acceptable for a woman to discuss her state of mind with others, without fear of hiding her reactions. Most of the time, women do not fear judgment from others when they express themselves. From a very young age, they have been told it is okay to cry, laugh, frown and smile. However, this is not always the case in the workplace or other professional settings. It varies depending on the work environment. Why are women so emotional? There are several reasons, but the next step is learning to prevent your emotions from taking over. One method is to replace negative or unpleasant thoughts with a positive one. Negative thinking usually equates to negative reactions. When you are dealing with an emotion that is unpleasant or you do not want to react in a non-productive manner, think of a happy situation. Remember how you felt and pull on that feeling to push the other one out. Sometimes we react too quickly to a situation. This can cause you to regret a statement or action made later when you are in a better state of mind. While it is easier said than done, don't let your emotions control you. Take a deep breath and calm yourself before you react. If you have to, excuse yourself from the situation. Bring your heart rate back to normal before you address the situation at hand. It is better to contemplate everything now and react later than overreact now and wish you hadn't. However, remember to forgive yourself if you do something that you do regret. If you hang on to the negative feeling and punish yourself emotionally for reacting the way you did, you will experience destructive emotions when placed in a similar situation. Sometimes, we need to distance ourselves from our emotional triggers and find a healthy way to release them. It is just as bad to keep them bottled up as overreacting to a situation. Actually by keeping your feelings to yourself, you are setting yourself up for an emotional outburst. If you are frustrated, go to the gym and take it out on the exercise machines. Feeling creative? Take an art class and release your inner creativity. Other healthy emotional outlets include keeping a journal, venting to a trusted friend or even mediation. Thinking about how and "why are women so emotional" brings up a dilemma many of us of face. When we only concentrate on the "here and now", we fail to see the whole picture. The saying "everything happens for a reason" often rings true if you look at the entire situation. For example, your hours at work have changed and now you have to go in earlier but you get out earlier too. Instead of thinking about having to get up two hours sooner, think about the fact that you will have more daytime hours to do the things you enjoy. We cannot always understand why things happen the way they do, but by broadening our mind to other possibilities, we can negate an emotional upset.